Good morning, here are your Sunday’s Patriots news 12-10, & AFC East Notes. The Patriots are playing in their first Hat and T-shirt game of 2017 on Monday Night Football. Any scenario of a Bills loss/tie or a Patriots win/tie guarantees them the AFC East crown for the ninth year in a row. We know that they set their sights much higher, but it all begins with winning the division. And they’ve been remarkably consistent in the Bill Belichick era at doing just that. Tom Brady began his Saturday presser with an apology to Offensive Coordinator Josh McDaniels, saying that it had bothered him all week after his outburst early in the game in Buffalo last week. “I’ve been feeling bad all week and haven’t had a chance to say it. He knows how much I love him.” Brady said. The Patriots could really use the return of Chris Hogan this week as they head down to Miami today without Rob Gronkowski who is suspended for this game. Hogan practiced, albeit in a limited capacity this week, but his return would be a shot in the arm for the Patriots passing game. Both Malcolm Mitchell and Vincent Valentine have been spotted in the locker room this week. The Patriots only have one IR slot for a player to return remaining, so it may be one or the other depending on what the team needs are. Mitchell was a nice target in the red zone down the stretch last season. If he’s ready to go, he could be a nice addition to the offense. With the Patriots, as most of the NFL teams do, the players have to make so many appearances in the community as part of their contracts to give back. But many of the players go far beyond the minimum as they embrace their role in the community. Whenever there is a turn over in a head coaching or General Manager position, the Patriots’ Nick Caserio, Josh McDaniels, and Matt Patricia are always names that seem to come up at the top of lists. And once the Giants announced that they’d fired both their coach and GM, that got the tongues wagging once again. Caserio and McDaniels both would be great fits in New York with the G-men. If there is someone who could light a fire out of that offense and get those players pulling in the same direction it is McDaniels. And Caserio is about as solid as a GM candidate as there is. One has to wonder if the Giants are interested in them and with the current regime with Bill Belichick and his feelings known about the Mara family, he’d support the move there if it came down to it. It would be a tremendous loss for the team but Belichick would understand that the men were looking for the next big step in their career progression and being in New York with the Giants is big time. The Patriots plucked DE Eric Lee off of the Buffalo Bills practice squad just a few weeks ago and the young player has certainly made an impact in his first two NFL games. After just a few days of practice, he played in about 40 percent of the snaps against the Dolphins, mostly in the second half and notched his first NFL sack. Last week against the Bills with Trey Flowers out, Lee was pressed into a lot of snaps [85 %] and the rookie made some major impact right away on the first drive of the game. Although the Bills were running at him early, on that first drive of the game, once they got down in the red zone, Lee dropped into the throwing lane and intercepted Tyrod Taylor to snuff out the Bills’ scoring chance and he added 1.5 sacks, a couple QB hits and a tackle for a loss. His good, far outweighed the bad. And the rookie has now caught the eye of his fellow players as well as the coaches. Last week 12-4 mark. Season Total: 125-67. The Buffalo Bills enter today’s game against the Colts with more uncertainty at quarterback. Tyrod Taylor, who injured his knee against the Patriots last week is officially a game-time decision on whether or not he can go and if he can’t Nathan Peterman may get his second NFL start. Taylor was just a limited participant all week and although he’s had plenty of snaps of practice in the past, it may just be that he’s not physically capable of playing this week. Peterman threw five interceptions in his only start against the Chargers and then played late in the game last week against the Patriots after Taylor left the game. If Peterman does get the call, his coach, Sean McDermott praised the rookie’s poise and control and stated that he is very steady for such a young player. The Miami Dolphins face the Patriots for the second time in just three weeks on MNF and Miami coach Adam Gates was asked about the Patriots pass rush. “They’re a little bit more difficult than people give them credit for. There’s a reason why they haven’t let up more than 17 points since about the fourth week of the season,” Gase said. “They force you to get the ball out quick. We had a couple of protection errors. 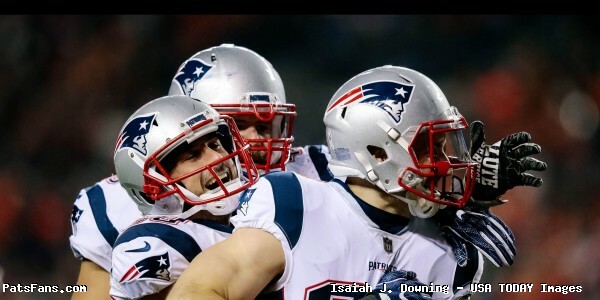 That really put Matt [Moore] in a bad spot where a few times he thought he was good and all of a sudden somebody came free in his face, whether it was oline, running back, tight end – we all took our turns – play calling. There were a couple of those in there where I didn’t really give him a good chance and kind of put him in a bad spot. We’ve just got to do a better job of making sure that we handle that up front. They make it difficult because those guys, they do a good job game planning. They find your weakness and they try to maximize using the information they have. He added, “Their assignments are on point. I think he’s [Bill Belichick] notoriously taken away your number one receiver. He makes you get to two and three. (He) makes you do things that are maybe a little bit out of your comfort zone. I think they do a really good job of keeping things in front of them, making offenses go the long road – three, four or five first downs – to score. We’ve just got to figure it out. The New York Jets haven’t followed the script this season. They were supposed to be a team that may go winless, but this scrappy bunch of players from Coach Todd Bowles have ignored the noise and have been in nearly every game this season while going a respectable 5-7. The Jets have found their wide receivers for QB Josh McCown in Jermaine Kearse and Robby Anderson and the duo have both gone over 100 yards in the past two games. They now face the Denver Broncos defense which will be a big test for the pair on Sunday. Anderson leads the Jets with 871 yards receiving and Kearse has set a career high in catches with 51 for Gang Green in 2017.Both were undrafted free agents. If the Jets are to beat Denver today, they’ll need both Kearse and Anderson to step up their game. 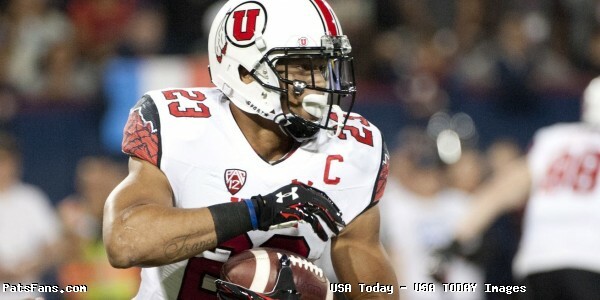 Anderson was undrafted out of Temple and had some off the field issues plague him in college. Kearse’s time in the 40 during the Combine caused his stock to fall but carved out a solid role with the Seahawks. The Patriots will see this duo in Foxboro in a few weeks. 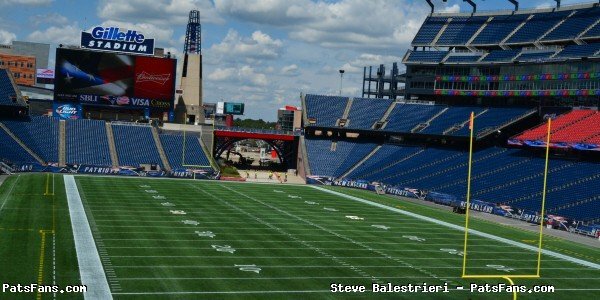 This entry was posted in 2017 Patriots Season, NFL Commentary, NFL News, Patriots Commentary, Patriots News and tagged 2017 Patriots Season, Bill Belichick, Buffalo Bills, Chris Hogan, Danny Amendola, Denver Broncos, Dion Lewis, Eric Lee, James White, Miami Dolphins, New England Patriots, New York Jets, NFL, Patriots, Patriots edge rushers, Rob Gronkowski, Stephon Gilmore, Tom Brady, Trey Flowers on December 10, 2017 by Steve Balestrieri. In this episode, we discussed the Patriots victory against the Broncos. Later on, we previewed the game against the Raiders in Mexico. We also debated the situation with Martellus Bennett as he returned to the Patriots. This entry was posted in Patriots Podcast and tagged Bill Belichick, Denver Broncos, Martellus Bennett, New England Patriots, Oakland Raiders, Rob Gronkowski, Tom Brady on November 14, 2017 by Russ Goldman. The Patriots quickly put the Denver Broncos in the rear view mirror due to outstanding special teams play on Sunday night and then with a tremendous offensive game plan, kept Denver’s defense off-balance and in chase mode all night long in a 41-16 rout. With the stadium at Mile High in Denver has been a house of horrors for the Patriots, they’ve now won there in back-to-back seasons. Even more importantly, the win allows the Patriots to keep pace with Pittsburgh having the best record in the AFC at 7-2 and opened up a two-game lead in the AFC East due to Buffalo getting spanked at home by New Orleans. The “No-Fly Zone” didn’t apply to Tom Brady on Sunday night. Denver’s strength on defense is their three cornerbacks, who are arguably the best in the NFL and their pass rush. So Josh McDaniels and Brady did the smart thing. They got the ball out quickly to negate the pass rush and attacked their weakness, the linebackers in coverage. In our pregame matchups we pointed out that the place to attack was the linebackers with the tight ends and backs. And Brady was absolutely clinical in doing so, Denver had no answer for that. Brady’s first touchdown was to Rex Burkhead who easily beat his coverage on a skinny post to open the scoring. Brady used play action passing to freeze the linebackers on more than one occasion but the best one was arguably on the deep 26-yard completion to Gronkowski where there was a huge gap in the coverage. Brady finished 25-34 for 266 yards with three touchdowns and should have had a fourth with the call on Gronkowski being called incomplete when the ball never touched the ground. Brian Hoyer got to come in late and got in a bit of working going 3-3 including a really nicely designed and conducted screen pass to Brandin Cooks that went for 27 yards. The running backs were part of the focus this week and they didn’t disappoint. On a night where Mike Gillislee was a healthy scratch, Rex Burkhead and Dion Lewis were the focal points and both had very solid outings. While the running game wasn’t dominant, it was good enough. Denver, other than last week in Philly has been very stout against the run and getting just under 100 yards kept the defense honest and allowed Brady to run play action. Lewis didn’t have a catch but was good in the running game, lugging the ball between the tackles. Burkhead provided good power also between the tackles, moving the pile a few times in short yardage and picking up a key fourth down run. He was also very productive in the passing game. Both featured key moments on STs which we’ll get to below. James White didn’t get a ton of snaps this week but he had a nice touchdown reception from Brady where he put an excellent move on safety Will Parks and had an easy pitch and catch for the score. James Develin was outstanding in run support getting the ball carriers to the second level. This was more by design than anything else. The team was shorthanded with Chris Hogan out so, they attacked the Denver weak spots using the backs and tight ends. However, they kept Denver’s secondary honest by targeting Cooks 11 times, mostly in short underneath routes. Phillip Dorsett and Danny Amendola were only targeted six times total but responded with six catches. On a night the coaches were putting the onus elsewhere, the wide receivers still had decent production and did exactly what was asked of them. Rob Gronkowski had a typical Gronkowski evening, seeing double, at times triple coverage down close to the goal line but still had good production with four catches for 74 yards. He also had a diving 19-yard catch for a touchdown erased by an official ruling that the ball hit the ground, but we’ve beat that horse to death enough. Martellus Bennett was back in a Patriots uniform and although he played only about 8 snaps made his presence felt, catching 3 passes for 38 yards. His first catch was a big 27-yarder where the Broncos had a communication breakdown (other teams have them too), and two linebackers went after Burkhead leaving Bennett all alone. Dwayne Allen finally got a catch and it was a big one, a touchdown catch where he was held by Von Miller and then made a nice catch on an outside pass by Brady. He was also very good in the running game. Jacob Hollister didn’t play on offense but had a couple of big plays on Special Teams. The offensive line heard all week about the fearsome Denver pass rush especially by Von Miller. Miller was facing backup swing tackle LaAdrian Waddle filling in for injured Marcus Cannon at right tackle and had one pressure all night on Brady. Waddle, receiving little extra help, was mainly left on his own and held up extremely well. Ditto for Nate Solder. Shane Ray on the other side was relegated to milk carton status. The only sack given up was on a safety blitz where James White uncharacteristically whiffed on a pass block, with Brady getting sacked inside Denver’s 10 yard forcing a field goal. The run blocking was okay but not great. But the bottom line is that the Patriots scored on seven straight possessions. That doesn’t happen…ever unless Brady is getting excellent protection. And yes they aced this test. The Patriots defensive line was good but not great in this one. They did a decent job of defending the run although the Broncos did have a couple of really good chunk plays, most of those came after the team was comfortably ahead. But they were stout in the red zone which is a plus, with the Broncos scoring only one touchdown. The pass rush however was virtually non-existent. Brock Osweiler was nearly as comfortable as Brady was in the pocket. This will be an area to monitor moving forward but they couldn’t get any consistent pressure even when Matt Patricia dialed up some blitzes. Kyle Van Noy gets high marks for his continuing high level of play all over the field. With Hightower gone for the year, Van Noy calls the signals for the defense and will rush the passer, cover the backs in the flat and drop into coverage. He read a play perfectly and blasted in dropping Jamaal Charles for a loss on one running play. David Harris got the most work of the season and was very good in run support and put a jarring hit on TE Jeff Heuerman knocking the ball loose. Elandon Roberts got good pressure on an A-Gap delay blitz and forced Osweiler to unload the ball. Special teamers Marquis Flowers and Trevor Reilly got some work in as Matt Patricia worked everyone into the system and all played well. While Malcolm Butler had a very rough first half, Emmanuel Sanders had 114 yards receiving by halftime. He recovered however, and played tough and physical in the second half where Sanders could manage just 23 yards after the break. It wasn’t pretty by any stretch of the imagination but Butler has a short memory and he doesn’t get down or sulk when he’s not playing well. Stephon Gilmore returned from his concussion and played well. He was tasked with coverage on Demaryius Thomas and neutralized him quite well. Thomas had five catches for 44 yards. In Thomas’ nine games previously against the Patriots he has averaged 92.5 yards per game and 16.6 yards per reception. Thomas did snag a touchdown on Gilmore but that was just a well designed play by Osweiler. His play action fake froze the linebackers just long enough and Roberts didn’t get a deep enough drop where he’d have been right in the throwing lane. Thomas had inside position on Gilmore and made the catch for the score. Devin McCourty was his normally solid self in centerfield and was forced to make a couple of key tackles when Sanders was getting loose. Pat Chung and Duron Harmon played well and Chung got an interception off of Osweiler when he read the play and jumped the route in front of Heuerman. The Special Teams get very high marks this week for turning in three tremendous big plays that easily turned this game into the laugher that it was. After the Pats were held to a three and out on their first possession, Jonathan Jones flew up the field on punt coverage and Broncos returner Isaiah McKenzie, who has shown a tendency for bobbling punts muffed this one. Jones blasted him, allowing Jacob Hollister to recover the ball. The Patriots would then score on seven straight possessions. Dion Lewis had a 103-yard kickoff return for a score getting several key blocks including good ones from Hollister and Dwayne Allen. Once he reached the outside, he had clear sailing and no one was going to catch him. That silenced the crowd quickly. Rex Burkhead came clean on a punt block after a fantastic play by Brandon Bolden freed him up. Bolden caused his man to step out wide and Burkhead burst thru the gap like he was shot out of a cannon. That set the Patriots up with a short field for a score. Stephen Gostkowski’s kickoffs were a stake in the heart of the Broncos. He dropped them just short of the goal line time and again and the coverage units were outstanding. Trevor Reilly unloaded on McKenzie on one where it was amazing that McKenzie was able to hold onto the ball. Denver made the night complete by jumping offside on a 4th and 5 where the Patriots lined up to punt. The first down resulted in the Patriots putting another score on the board where they completed a 16-play, 94-yard drive. Bill Belichick’s team had two weeks to prepare to face a team that always seems to have its way with New England at home. Belichick and the staff came up with a fantastic game plan to attack the middle of the field with the tight ends and running backs and they simply eviscerated a very good, very proud defense where they scored on seven straight possessions. That doesn’t happen very often, if at all to Denver at home. The players were focused and executed the game plan extremely well. Belichick likes to talk about producing in “All 3 Phases” of the game. The team did it and more. They allowed only one touchdown and just 16 points on defense, scored 41 points and had tremendous splash plays on special teams. This was the perfect way to start off the second half of the season and a long road trip that will feature five of the next six games on the road. 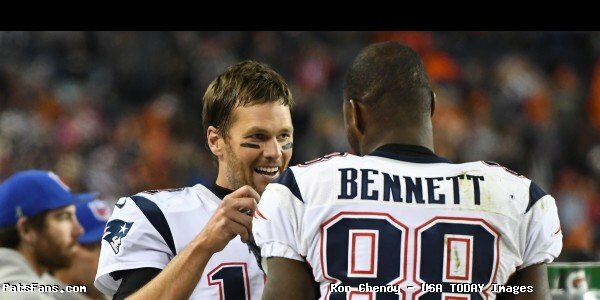 This entry was posted in 2017 Patriots Season, NFL Commentary, Patriots Commentary, Patriots News and tagged 2017 Patriots Season, Bill Belichick, Chris Hogan, Danny Amendola, Denver Broncos, Dion Lewis, Dwayne Allen, James White, Malcolm Butler, Martellus Bennett, New England Patriots, NFL, Patriots, Rex Burkhead, Rob Gronkowski, Tom Brady, Trey Flowers on November 14, 2017 by Steve Balestrieri. One of the few complaints heard around Patriots Nation centers around Bill Belichick’s insistence on having so many players on the roster that contribute only on special teams. Sunday night’s game in Denver should put that argument to rest for quite awhile. For the second game in a row, the Patriots special teams units were a huge difference in the game and were a big reason why the team was victorious. New England and Denver are teams heading in opposite directions. The Patriots have won five in a row while the Broncos have dropped five straight. A major reason why this game turned into a blowout was the dominance of the Patriots STs units and Denver’s continued awful special teams play. The Broncos are done now, and can only play the spoiler. And it wasn’t the play of their QBs this week, it was their special teams and defense. There were four huge plays by Joe Judge’s units that turned this game from a potentially close game into a rout. Let me caveat this by saying something straight out. I’ve been hearing the “Special Teams was the only reason the Patriots won” narrative. That doesn’t give hardly enough credit to Tom Brady and the offense. The Patriots offense scored on seven straight possessions. The Denver defense couldn’t stop the Patriots offense all night long. But back to the four key special teams plays. After the Patriots went three and out on their opening possession, they were forced to punt. Ryan Allen’s punt had very good hang time and Jonathan Jones put pressure on Isaiah McKenzie and he muffed the punt. Jones blasted McKenzie and rookie Jacob Hollister recovered the ball and the offense was in business. It was a huge turn of events. Brady later hit Rex Burkhead for a 14-yard touchdown and the Patriots were off and running. The final key play was early in the fourth quarter. The Patriots had started on their own six-yard line at the end of the third quarter. They moved to the Denver 41 where the drive stalled. But on 4th and 5, Denver jumped offside on the punt giving Brady and offense a fresh set of downs. Seven plays later Brady put the dagger in with a touchdown pass to James White, finishing a 16-play, 94-yard drive that took 7:31 seconds off the clock. The Patriots special teams have been steadily improving as the season winds along. In their last game against San Diego, they tackled a punt returner for a safety and Lewis ran back a kickoff in that one of 71 yards. The coverage units have been outstanding and Stephen Gostkowski’s kickoffs are putting teams constantly in the hole behind the 25-yard line. The only downer from the game was ST’s Captain Matthew Slater, pulling a hamstring in the game last night and not returning. But if they continue to play at this kind of high level, the sky is the limit. They can match up with just about anyone they play and having an STs unit that can give the team a boost like that is outstanding. This entry was posted in 2017 Patriots Season, Patriots Commentary, Patriots News and tagged 2017 Patriots Season, Bill Belichick, Danny Amendola, Denver Broncos, Dion Lewis, Dwayne Allen, Jacob Hollister, Joe Judge, Malcolm Butler, New England Patriots, NFL, Patriots, Patriots special teams, Rob Gronkowski, Tom Brady on November 13, 2017 by Steve Balestrieri. Don’t look now but the Patriots have the same record as they did last year after nine games. And they won their fifth game in a row but blasting the Denver Broncos in Denver, winning there for the second season in a row 41-16 on Sunday Night Football. The story of the game was the play of the Patriots Specials Teams. As we stated in our pregame matchups, Denver’s STs play has been awful and that would be an area to watch. A muffed punt, a blocked punt, a 103-yard kickoff return for a touchdown by Dion Lewis and a too many man on the field penalty on a punt which resulted in a first down was just one of the nightmares that Denver will have to live with. And the vaunted Denver pass rush was rendered immaterial by a tremendous game plan by Josh McDaniels and superior execution by Tom Brady. 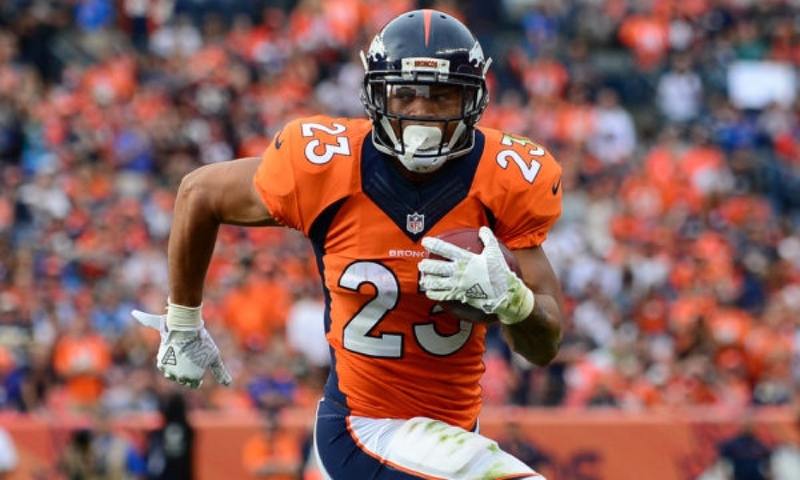 The Broncos have as talented a trio of cornerbacks as anyone. So Brady and the Patriots didn’t challenge them, they ignored them and worked the middle of the field with the tight ends and running backs and Denver couldn’t stop them. 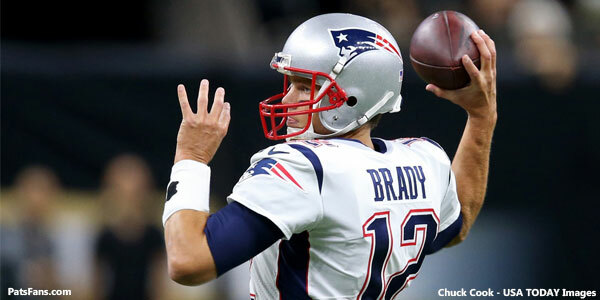 The Patriots scored on seven straight possessions until late in the fourth quarter when the game was over. Brady was cool, calm and collected and consistently found the open man. He finished 25-34 for 266 yards and 3 TDs and no interceptions. He completed passes to nine different receivers and at least six of them had three or more catches. Rex Burkhead, with Mike Gillislee inactive, picked up a bunch of his slack and had a heck of a game. He carried 10 times for 36 yards, had 3 catches for 27 yards, including a 14-yard touchdown which opened the scoring and blocked a punt. Denver can’t blame this blowout loss on the quarterback this week. Brock Osweiler played a pretty solid game, completing 18 of 33 passes for 221 yards with a TD and an interception. The vast majority of his success came with his finding Emmanuel Sanders open. Sanders caught 6 passes for 137 yards on the night with 114 of them coming in the first half. He gave Malcolm Butler fits all night long. LaAdrian Waddle Gets a Game Ball: How many times did we hear Von Miller’s name tonight? Waddle, filling in for an injured Marcus Cannon played a heckuva great game at right tackle. But the offensive line overall was outstanding. Denver’s strength is their pass rush and Brady had a clean pocket to work from nearly all night long. Nate Solder was also outstanding, as Shane Ray was invisible. The only sack Denver got was on a safety blitz and James White had a rare miss in pass blocking. But Waddle gets very high marks tonight. Denver had to see that matchup as a mismatch but Waddle, frequently out there alone, more than held his own. Matt Patricia’s Crew is Getting it Figured Out: With the exception of Malcolm Butler who had a rough night with Sanders, the defense is looking better each week. Despite missing several key players, they did exactly what they needed to do and allowed just 16 points. During the five-game winning streak, the Patriots defense has allowed an average of just 13.4 points per game. While it still needs some work, overall, this unit looks light years better than the unit that struggled so badly the first few weeks of the season. Red Zone Offense Looks Better: The Patriots “officially” went 4-6 in the red zone tonight, and against Denver’s defense, on the road, that is a big improvement. They lost one opportunity on a sack of Brady inside the 10-yard line and the other on a blown call by the officials. Brady hit Rob Gronkowski on what looked like a touchdown pass, but the officials ruled it incomplete. The play was reviewed and the call was upheld. One has to wonder if Walt Coleman used the logo tablet to review the call or not. The ball never touched the ground. Coleman’s crew missed an obvious pass interference call on Chris Harris where he clearly grabbed Brandin Cooks arm on a deep pass by Brady in the end zone. Inexcusable. Spreading the Wealth: Denver’s defense was done in by the Patriots versatility and depth on offense. Brady was brutally efficient at spreading the ball around in the passing game. Cooks had six catches for 74 yards, Gronkowski had four catches for 74 yards, Martellus Bennett had three catches for 38 yards, Danny Amendola had four catches for 36 yards and Burkhead chipped in with his three catches and a score. Dwayne Allen finally got off the schneid and got his first catch as a member of the Patriots and it ended being a touchdown. 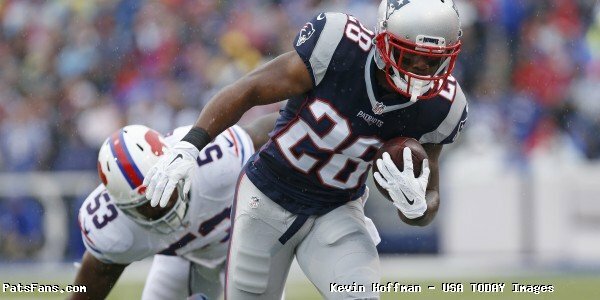 James White added a touchdown catch as well. The running game was handled by Dion Lewis and Burkhead and they produced enough to keep the Broncos linebackers honest in the pass rush department. Overall, the Patriots kept the Broncos off-balance and reeling all game long. They dictated the pace and won the battle of the trenches. Where Do We Go From Here: The Patriots improve to 7-2 tied with the Steelers for the top record of the AFC and game ahead of Kansas City. The win coupled with Buffalo’s loss gives New England a two-game lead in the AFC East. The Patriots will remain in Colorado and work out at the Air Force Academy this week as they get further acclimated to the altitude when they travel to Mexico City next week to face the Raiders. The stadium in Mexico is about 2000 feet higher in altitude than Denver so it makes sense to remain, make it a shorter travel week and get more work in the thinner air. This entry was posted in 2017 Patriots Season, Patriots Commentary, Patriots News and tagged 2017 Patriots Season, Danny Amendola, Denver Broncos, Dion Lewis, James White, Malcolm Butler, Martellus Bennett, New England Patriots, NFL, Patriots, Rob Gronkowski, Tom Brady, Trey Flowers on November 13, 2017 by Steve Balestrieri.